Learning to get along with less cheese in retirement isn't fun for most people. You can make it less painful, though, by effectively planning and preparing for retirement. Here are more than 22 retirement stats most of us would do well to know about -- and many of which are rather surprising. Your retirement may last much longer than you expect. If you stop working at 62, for example, and live to 97, your nest egg will need to support you for 35 years! Living to 97 isn't unthinkable. According to the Social Security Administration, 30% of 50-year-old women and 19% of 50-year-old men will live to 90. A Barron's article recently noted: "The most likely age for a 50-year-old woman to die is 88, and the most likely age for a man is 85. A woman is more likely to die at age 92 than at her life expectancy age of 83, and a man is more likely to die at age 89 than 80." Retiring at age 62 isn't crazy, either. The average retirement age was recently 63 -- and you can start collecting Social Security benefits as early as age 62. 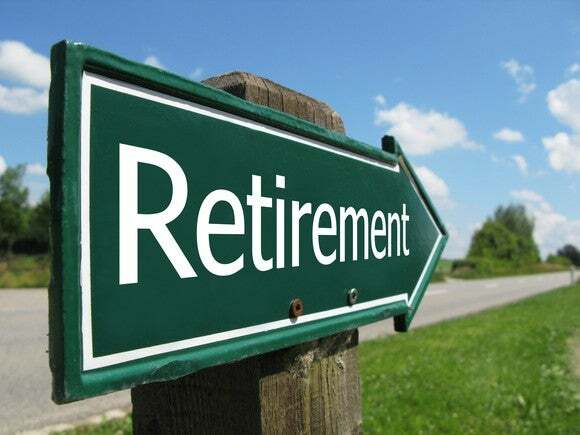 You may end up retiring earlier than planned. According to the 2016 Retirement Confidence Survey, 46% of retirees left the workforce earlier than planned, with 55% citing health problems or a disability as the reason and 24% citing changes at work such as a downsizing or workplace closure. 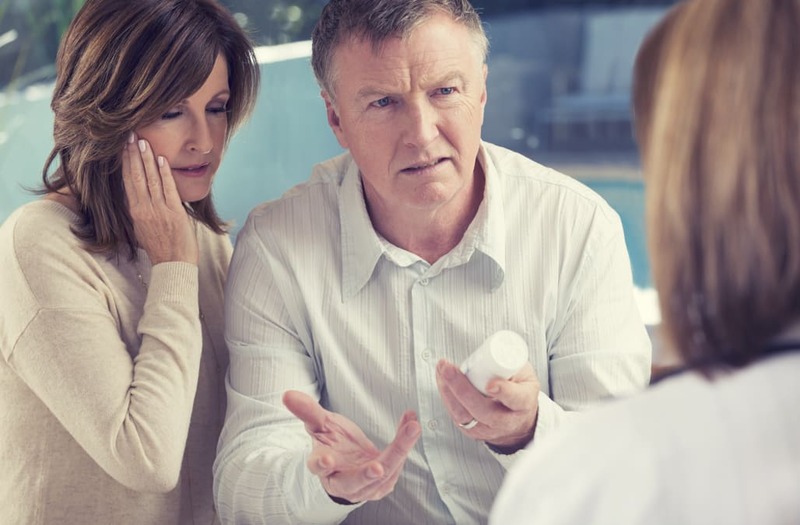 According to an Edward Jones survey, about 60% of Americans of varying ages are worried about healthcare expenses in retirement. That may be surprising, but it's also quite reasonable, because of the following retirement fact. Healthcare can cost much more than you think it will. 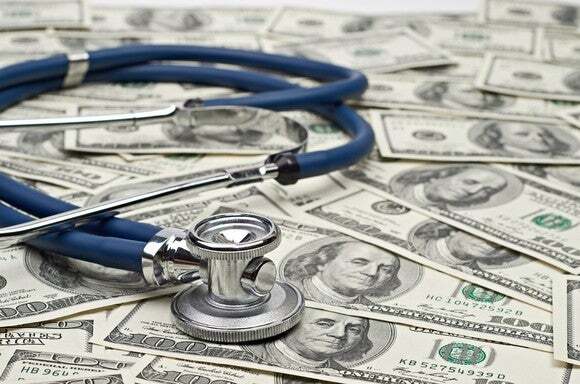 According to Fidelity Investments, a 65-year-old couple retiring today will spend, on average, a total of $260,000 out of pocket on healthcare. If you're late enrolling for Medicare, it can cost you. Your Part B premiums (which cover medical services, but not hospital services) can rise by 10% for each year that you were eligible for Medicare but didn't enroll. The no-penalty enrollment period for most people is anytime within the three months leading up to your 65th birthday, during the month of your birthday, or within the three months that follow. Lots of people are saving for retirement. There are more than 600,000 defined benefit plans such as 401(k)s, with more than 70 million people participating in them. As of late 2016, there was about $7 trillion in 401(k) plans and close to $8 trillion in IRAs. Income from 401(k) accounts has been estimated to represent about 25% to 30% of overall retirement income. According to the Social Security Administration, most elderly beneficiaries get 50% or more of their income from Social Security, while 21% of married ones and 43% of unmarried ones get fully 90% or more of their income from it. The average 401(k) account balance in Fidelity Investments-managed plans hit a record average of $92,500 as of the end of 2016. That $92,500 won't last long in retirement, and most people have saved less than that. According to the 2016 Retirement Confidence Survey, about 26% of respondents said they had less than $1,000 saved for retirement. A whopping 64% had saved less than $50,000. Located in one of the best states to retire in the U.S., Orlando offers a potential benefit for retirees: Your kids and grandchildren might visit you more often so they can go to Walt Disney World, Universal Studios Florida and SeaWorld Orlando. When your kids are looking to knock out two birds with one stone — take their children on vacation and visit you at the same time — Orlando could be the perfect lure. You can make your retirement savings last in Charlotte, and you could also earn some money back on your home’s value if you decide to move again. Zillow's data shows home values have been on an upward trend over the last couple of years and predicts they will rise about 4 percent in the coming year. If you want to move to Minnesota, consider St. Paul over other popular cities — such as Minneapolis. Not only is St. Paul less expensive than Minneapolis, according to Sperling's Best Places, but the crime rate is also lower. St. Paul also shines in terms of healthcare, having 279 physicians per 100,000 population compared to the U.S. average of 210. Cost of living in Louisville is low compared to the U.S. average, especially when it comes to housing, according to Sperling's. And, there are 335 physicians per 100,000 population. For retirees trying to live life on a budget, cost of living in Indianapolis is lower than the national average. To save on housing, neighborhoods outside of the I-465 loop tend to offer a balanced combination of low-cost living and lower crime rates, reports Movoto. The population of seniors has grown considerably — 20.3 percent — in Atlanta in recent years, reports Forbes. And, it's one of the best cities in the country for a healthy and affordable retirement, offering a satisfying senior social life, access to healthcare and more, according to Sperling’s. Houston is a booming metropolis and a good choice for making your retirement savings last. In fact, it's one of the 50 cheapest places to retire. Health costs are cheaper in Houston than the U.S. overall, according to Sperling's. The city also provides easy access to top medical facilities, including the Texas Medical Center — the world’s largest medical complex. Tampa boasts affordable rent and cost of living expenses, including groceries, according to Numbeo data. Many suburbs around Tampa have great retiree-friendly amenities such as golf courses, libraries, volunteer activities and more, reports Movoto. And with home values on an upward trend, it could be one of the best cities to own investment property. Memphis is affordable, making it a great place to stretch your retirement savings. The cost of living is more than 25 percent lower than the nation's average, according to Sperling's. On a broader level, retirees will appreciate Tennessee’s total tax burden — it's one of the best states for taxes. Newark’s housing market could help you grow your nest egg — if you're looking to make a good investment in real estate. Home values rose by nearly 20 percent over the last year, and Zillow forecasts they will continue to rise within the next year. Fortunately for retirees, Columbus' cost of living is lower than the U.S. average. And a little further outside the city, retirees can find affordable suburbs with high proportions of residents age 65 and up, such as Lithopolis and Canal Winchester, reports Movoto. If you're thinking about retiring near Nashville, consider Ridgetop, Hendersonville or Oak Hill — all three suburbs ranked among Niche's top 20 places to retire in Tennessee. If you want to escape the hustle and bustle of big cities like San Francisco and Los Angeles, Bakersfield might offer refuge. Not only will your $100,000 go far in the first couple years of retirement, but another GOBankingRates.com study found it's the No. 2 city where your paycheck will stretch the furthest. Like other cities on this list, Phoenix is experiencing a marked increase in the population of seniors, reports Forbes. Other nearby areas you might want to consider for more senior-friendly amenities — such as restaurants, retirement homes and recreation centers — include Litchfield Park, Sun City and Florence city, reports Movoto. Austin saw a substantial growth in its population of senior citizens from 2010 to 2014, reports Forbes. With minimal unemployment and major job growth projected for the future, the city offers many opportunities for retirees who might want to re-enter the workforce. Although Dallas is one of the top cities experiencing skyrocketing home prices, it's still an affordable place for retirees looking to stretch their retirement savings. The cost of living is still lower than the U.S. average, and Sperling's estimates future job growth over the next 10 years will be more than 42 percent. Your nest egg can go further in Sioux Falls. Plus, the city offers work opportunities for retirees — more than a third of people age 60 and older are employed in the city, reported U.S. News. The cost of living in Tulsa is about lower than the national average, according to Sperling's. And homes are pretty affordable, too. The median home listing price is $159,900, according to Zillow. In 2014, the Milken Institute ranked Madison as the No. 1 best large metro in its Best Cities for Successful Aging report, largely thanks to the city's high-quality healthcare and healthy environment. Low living expenses, notably on groceries, help make Kansas City one of the most affordable places to retire. Plus, buying a home in Kansas City is affordable — the median home price is only $165,000, according to Zillow. Saving on retirement living expenses in Rochester shouldn't be that big of a challenge. After all, the city’s cost of living is almost 18 percent cheaper than the country’s average, according to Sperling's. Your retirement savings should go far in Salt Lake City. But if you prefer living in suburbs, consider these top picks from Movoto: Bountiful, which has beautiful retirement housing options, and Midvale, which might attract active retirees. Albuquerque is also one of the top cities where your paycheck and retirement savings go far. And when it comes to healthcare, retirees benefit from the fact the city has 233 physicians per 100,000 population, which is higher than the U.S. average of 210. Nearly 18 percent of the population in Tucson are senior citizens, reports Forbes. Besides being an excellent city to stretch your retirement savings, Tucson also offers one of the cheapest rents on apartments in the U.S.
Oklahoma City is one of the best cities where your $100,000 retirement savings will go far in your first couple of years in retirement. And according to another GOBankingRates.com study, you only need to make about $44,180 to live comfortably. Methodology: Cities were ranked based on their cost of living index relative to the average annual expenditures for retirees 65 and older. In order to find the average annual expenditures for retirees 65 and older, GOBankingRates.com used data from the BLS Consumer Expenditure Survey. Cost of living indices were taken from Numbeo on Nov. 30, 2016. The average monthly Social Security retirement benefit was recently about $1,360, or $16,320 for the year. If you think you'll get more than the figure above because your earnings were above-average, you're right. But still, the maximum monthly benefit for those retiring at their full retirement age was recently $2,687, or only about $32,000 annually. 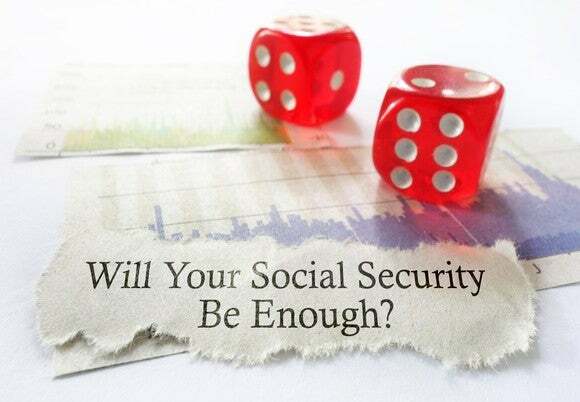 Up to 85% of your Social Security income can be taxed, if your income exceeds a specified level. According to the Social Security Administration, retirement benefits for those with average earnings will likely replace about 40% of your pre-retirement earnings. Those who had above-average earnings in their working years can expect a lower replacement rate, and vice versa. You can increase your Social Security checks by delaying starting to collect your benefits. For every year after your full retirement age that you delay starting to collect (up to age 70), your ultimate monthly check will grow by about 8%, giving you the opportunity to increase your benefits by about 24%. On the other hand, if you start collecting early, at age 62, you can expect your checks to be about 30% smaller. That's not so terrible, though, because you'll collect many more of them. And the system is designed to be a wash for those who live average-length lives. Retirement doesn't always play out as expected. A 2014 MassMutual survey found that 10% of retirees were surprised to find themselves lonely, bored, with a lost sense of purpose, and/or depressed in retirement. You may be tired of working, but the routine of having a place to go and things to do every day may be serving you well. Finally, here's some good news, despite all the worrisome findings above: That same survey found that 72% of retired respondents reported feeling quite happy or extremely happy in retirement. To a great degree, whether you're happy or frustrated in retirement will depend on how well you prepare for it -- financially and psychologically. It can help to get and stay healthy throughout your life and to always have an active social life. And, of course, save aggressively for your golden years.